SPIRITED AWAY: Directed by Hayao Miyazaki. (2001, 124 min). 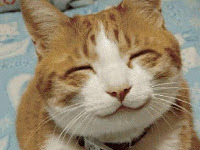 THE CAT RETURNS: Directed by Hiroyuki Morita. (2002, 75 min). Studio Ghibli is probably the reason that I'm an anime loving junkie. Yeah, thanks Kiki's Delivery Service. Thanks for making me a massive nerd who spends way too much money on overpriced anime merchandise. Thanks a lot. While I'm sure lots of people share similar addictions (and I'm sorry for you), the great thing about Ghibli films is that they sort of bridge the gap between anime fans and traditional animation fans. They are just well made, gorgeous movies. Everyone can like them. Normally I sit in a dark corner in my room, hoarding my anime and hissing at any light that filters in through the windows, but with these movies I want to show them off to everyone. Don't ever come near me and say you've never seen a Ghibli film, because then you'll be stuck with me for several hours while I make you sit through all of their movies I can find. They're just a lot of fun and so beautiful to look at. Even if you don't appreciate the art style, you can't deny the amount of love and care that went in to each scene of every movie. Spirited Away is easily one of the most gorgeous movies I have ever seen. Its imagery is intense and vibrant, often unsettling and creepy. And it's even more breathtaking on Blu-Ray. I've seen this movie countless times, yet watching through it again on Blu-ray, I found myself getting distracted by how the movie actually looks. I couldn't pay attention to any dialogue going on because I was way too busy being in awe of just how lovely everything was. 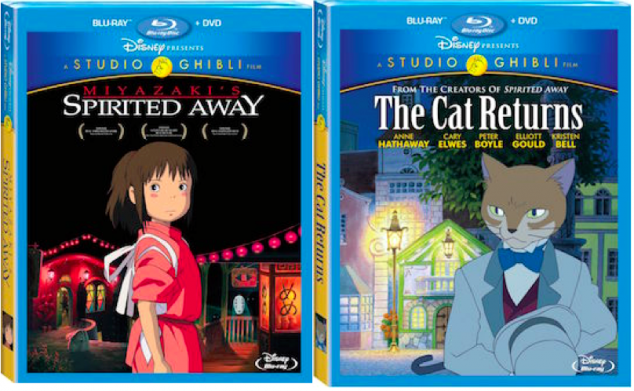 If you're already a fan of Spirited Away, you can't miss out on grabbing it on Blu-ray. The special features on it aren't anything special. In fact, they seem to be the exact same as those featured on the original DVD release. The Cat Returns is one of Ghibli's lesser known movies, but still rather charming and fun. 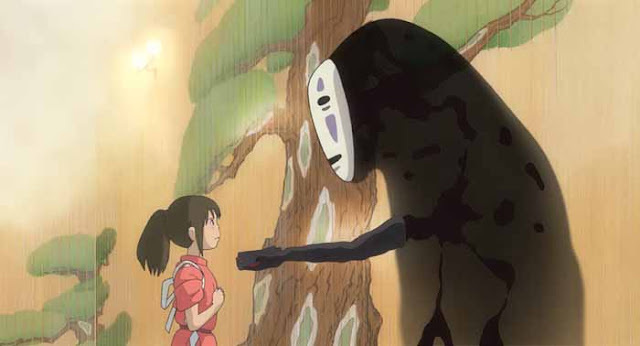 It's not the gorgeous epic that Spirited Away is, but it's still cute. Unfortunately, I wouldn't say it really benefits from the Blu-ray treatment in the same way Spirited Away does. Its a nice looking movie, but there isn't much to it. It has a few moments of beautiful scenery, but it's not the constant bombardment of 'LOOK AT THIS, IT'S PRETTY' like Spirited Away. However, I don't actually remember the last time I saw this movie for sale anywhere, so I'd recommend picking it up while you can. Buy Spirited Away on Blu-ray, even if you already own it on DVD. It honestly improves that much. Maybe skip out on The Cat Returns unless you don't actually already have it. It's still a worthy addition to your Ghibli collection.